This is a very easy 3 ingredient banana pancakes recipe which is kid friendly as well and you can prepare these banana pancakes from scratch quickly and easily for breakfast or snack with very minimal ingredients. 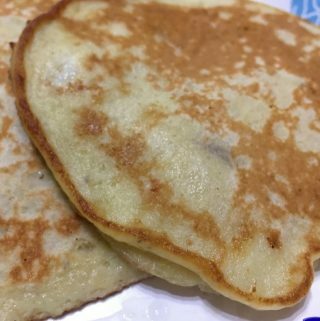 I didn’t use any baking powder or baking soda in this banana pancake recipe, so this is an easy banana pancake recipe without baking powder or baking soda. I have another easy banana pancake recipe here which uses baking powder in the recipe. I also have this recipe for simple and easy pancakes without baking powder or baking soda here. This easy banana pancakes recipe is also made without any sugar or sweetener, and they are naturally sweet from the ripe bananas. 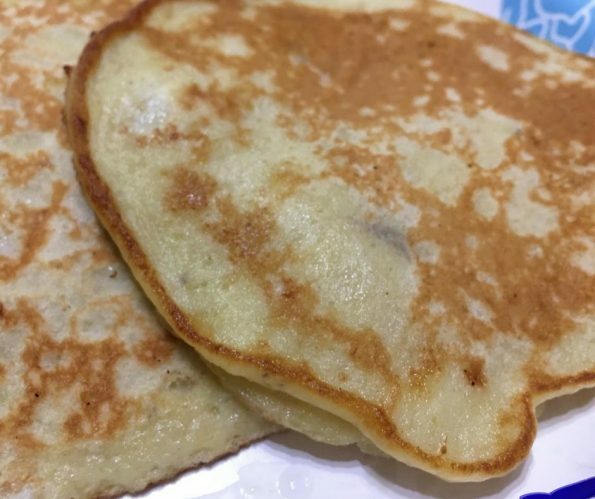 In fact, we only use 3 ingredients to make these pancakes, and I didn’t even use salt in this banana pancake recipe, and they taste delicious even without any sugar or sweetener. You can use all purpose flour or wheat flour to make this banana pancake, or try this superfine cake flour for the best texture. So try this easy, simple and yummy kid friendly banana pancakes for breakfast or snack which you can prepare so easily and quickly using very minimal ingredients from your pantry! 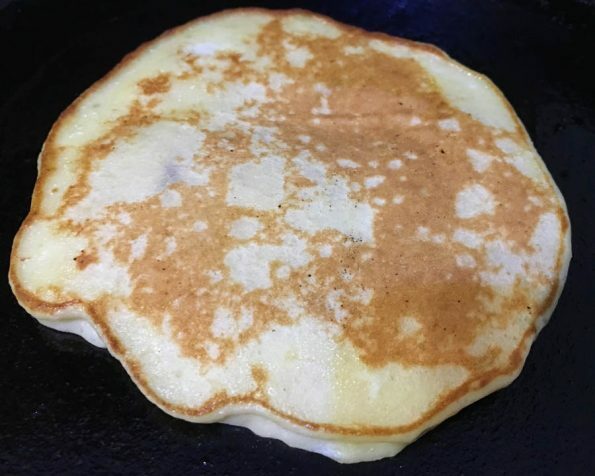 Here is how you can make this easy and yummy banana pancakes without sugar, sweetener, salt or baking powder following this easy banana pancakes recipe. 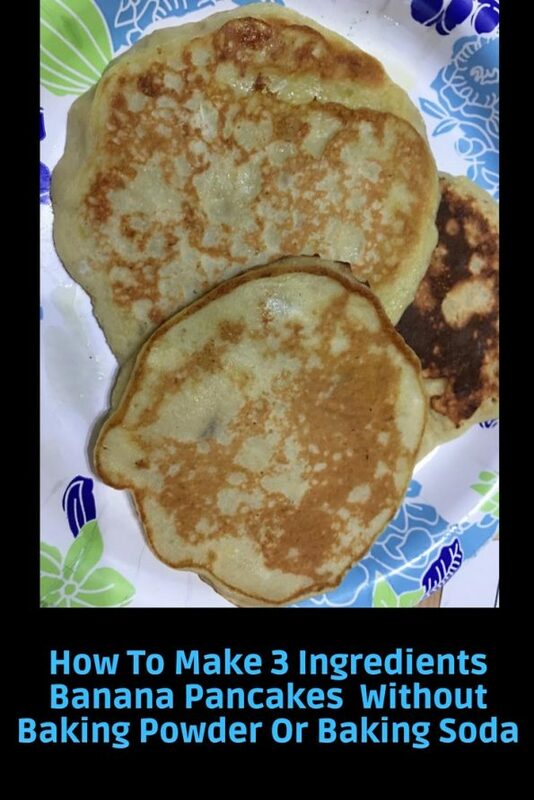 Easy, kid friendly, healthy 3 ingredient banana pancakes made without baking powder, baking soda, sugar or salt makes a quick and delicious breakfast or snack. Add the flour to a medium sized bowl, keep this aside. In another bowl, mash the banana very well, add the mashed banana to the dry flour and mix well without any lumps. Beat the egg very well in another bowl (you can use the same bowl used to mash the banana). Transfer the whisked egg also to the banana flour mixture and mix all ingredients very well to form the pancake batter without any lumps. Heat a non stick pan and add one small ladle of batter on to it (if you are not using non stick pan, you will need to grease the pan with a little butter or oil as needed). Cook in medium heat for about 1 minute, gently flip and cook the other side also for another 1 minute. Transfer the banana pancake to the serving plate. Similarly cook all the pancakes until the batter is over, as we used only very minimal ingredients to make the batter, this is just enough for one serving and I got 3 medium sized pancakes from the batter (though this may slightly differ based on the size of banana or egg you are using). Serve the delicious and sugar free pancakes as they are even without any toppings or just with a spoon of butter to keep this healthy as well as kid friendly. You may also top them with whatever you like. You may serve these yummy banana pancakes with butter or more fresh sliced bananas or even pure fresh maple syrup or honey if you like. 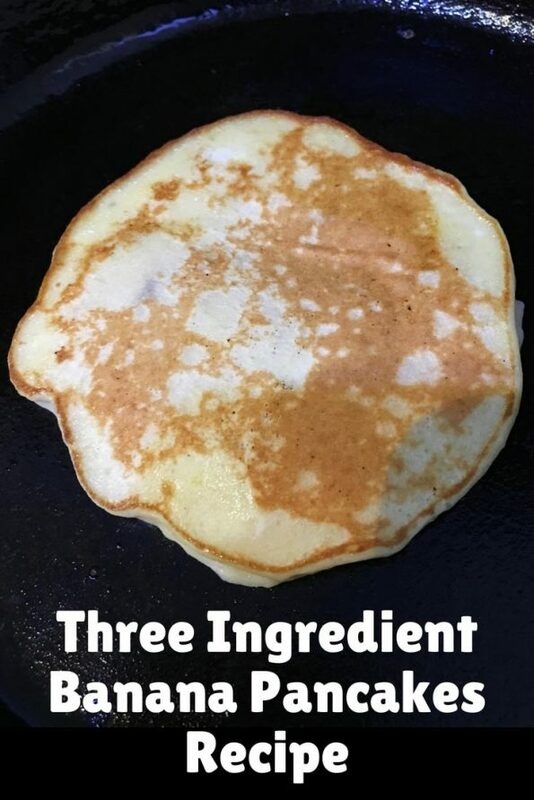 Hope you found this post on 3 ingredient banana pancakes recipe helpful in making easy and yummy banana pancakes from scratch at home.